Pelican Rapids mass communications class students may be “walking the red carpet” at a student television arts award ceremony. Local students are in line for an “Emmy” award. Front Row: Katlyn Haugrud, Spencer Okke, and Crystal Diaz. Second Row: Tucker Maus, Mackenzie Thornton, Melissa Salazar, and Noah Ballard. Back Row: Zane Brosowske, Kirby Nelson, and Colm Fitzsimmons. English teacher Kathryn Anderson teaches the mass communications students. Actually, it is the high school version of the “Emmys,” but definitely noteworthy for a smaller, outstate Minnesota school–competing against much larger city and suburb schools in the upper midwest. Pelican received two “Crystal Pillar” nominations from the National Academy of Television Arts and Sciences: Upper Midwest Chapter. 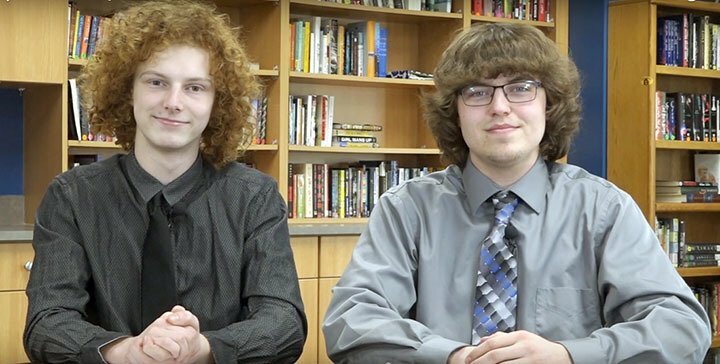 The nominations were for one of the “Viking News” broadcasts that was submitted to the judges; and also a broadcast story by students Colm Fitzsimmons and Zane Brosowske. 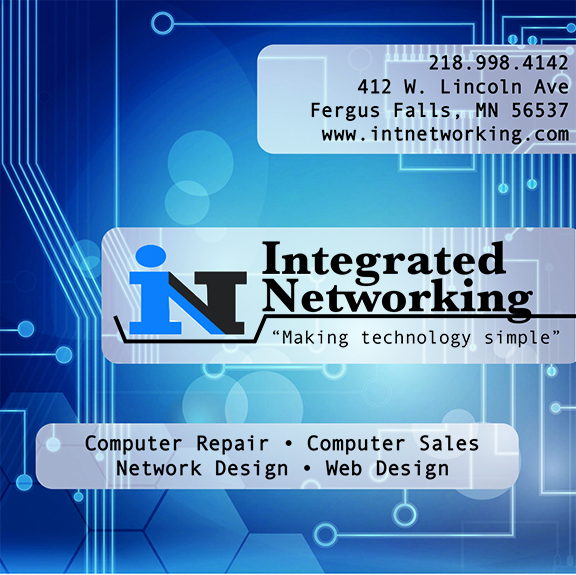 The award ceremony is April 12 in Bloomington. The Pelican Rapids School Board learned about the nominations at the March 19 school board session. Instructor Kathryn Anderson and Brosowske explained the awards and the mass communications class, which is new in Pelican Rapids this year. “This is a huge honor from the Midwest Emmy association,” noted Kathryn Anderson. 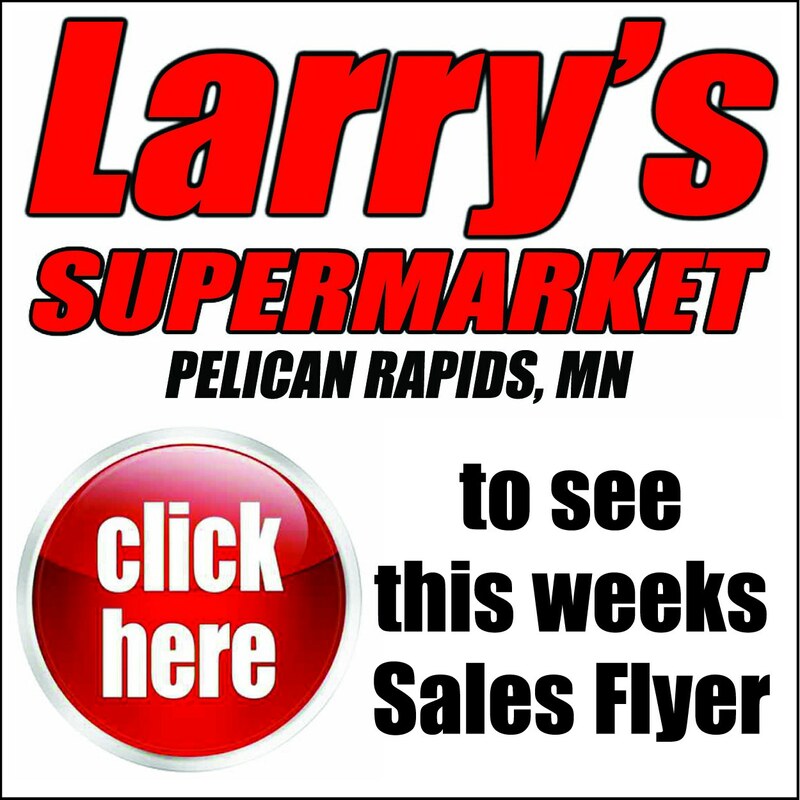 The upper Midwest region in which Pelican competes includes high schools in all of North Dakota, South Dakota, Minnesota, Iowa, and parts of Wisconsin. “We are one of the only rural school districts to be nominated into this competition,” said Anderson. Superintendent Randi Anderson noted that Pelican was nominated among larger Minnesota School Districts, like Woodbury and Eden Prairie. “Secrets of the spooky basement” beneath the high school media center was the theme of a broadcast story by students Fitzsimmons and Brosowske. The piece is about 2006-2007 Pelican graduates James and Nathan Jensen, a pair of brothers who crested an odd array of graffiti art in the mysterious lower level of the library. The reporters even tracked down the brothers for an on camera interview about their clandestine art work. The Jensen brothers continued on an artistic path after graduation, one a musician and the other a studio artist. Two of the students who have anchored the Viking News, Colm Fitzsimmons and Tucker Maus. The Viking News broadcasts have circulated online, on YouTube. Stories prepared by the students have included interviews on the four-day school week; the school’s one act play; sports; and a piece on late classmate Faith Westby. The monthly broadcasts will continue through the end of the school year, said Anderson. There have also been humorous human interest features on “lunch room lady for a day” and “kindergartner for a day,” where the media students joined in, hands-on, in the cafeteria and the kindergarten classroom. This year, the Academy’s upper midwest chapter received more than 180 entries from high schools and colleges/universities from across the region. The April 12 awards program is at the Crowne Plaza in Bloomington. This ceremony recognizes excellence in media production for high school and college/university students within the Upper Midwest region, which includes Minnesota, North Dakota, South Dakota, Iowa and western Wisconsin. 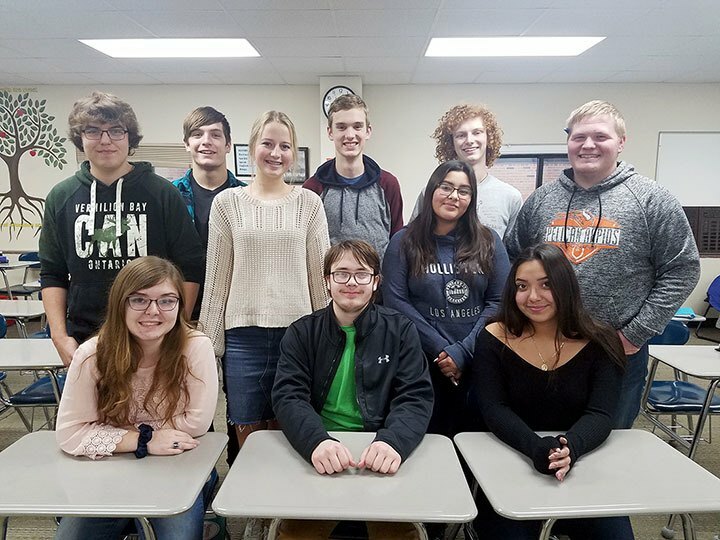 The new mass communications program at Pelican Rapids High School is off to a good start–with regular monthly TV broadcasts, and now, high school media awards nominations. Instructor Kathryn Anderson brings not only direct broadcast media experience to the program, but she’s also a Pelican Rapids area native herself. Anderson graduated from Pelican in 2007 and, among other activities, was active in theater and speech. Kathryn Anderson brings professional media experience to the classroom, as teacher of the school’s first-year mass communications class. Anderson, a Pelican Rapids High School graduate herself, also worked behind the camera for the Fargo-based KVRR television news department for three years. “I love being back at my old school, and actually, I always wanted to come back here,” said Anderson, who teaches English, directs theater productions and teaches the mass comm program. She earned a mass communications degree at Minnesota State University-Moorhead, and later, an English degree. She also worked three years at KVRR television in Fargo as a photojournalist, which has been invaluable in coordinating the entire process–basic newswriting, filming, interviewing and editing for broadcast. 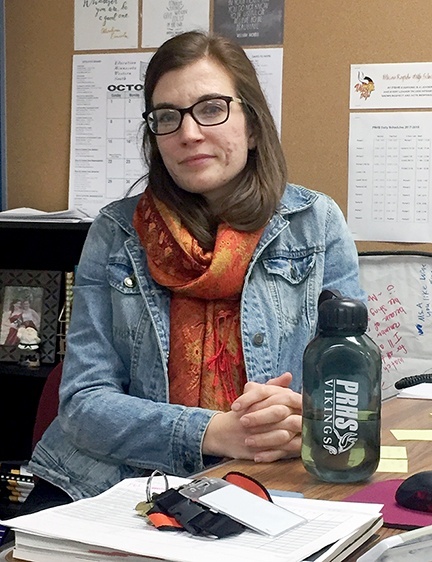 After earning her English degree in 2014, she taught at the Lake Park-Audubon school district–where there was already a mass media program for high school students. In Pelican, bringing a mass communications class to the curriculum was a smooth–and inexpensive–transition. There was no need to budget for video and audio equipment, because Pelican teacher Cary Haugrud already had a well-established and active audio-visual program.